Anyone in the market for a giant office building with the prestigious address of 1 Wall Street? If so, you may be in luck. The Bank of New York Mellon is looking to sell its headquarters, a 52-story limestone edifice on the corner of Broadway and Wall Street, and head for greener pastures. 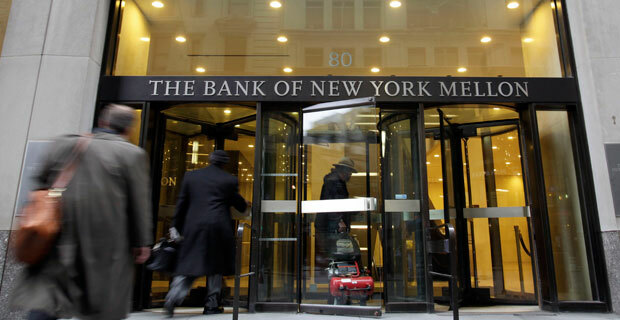 Bank spokesman Jeep Bryant tells Bloomberg Businessweek that BNY Mellon sent a request to New York landlords for about 450,000 square feet of space, and is seeking an office that is more in line with the corporation’s needs. “We are looking for improved client meeting space and something that can accommodate state-of-the-art technology,” he says. With the uncertainty of last year’s credit concerns in the rear-view, BNY Mellon joins fellow banks Morgan Stanley and UBS AG in the hunt for office-space upgrades. And it seems banks are not alone in their optimism that the economy is turning around. According to broker CB Richard Ellis Group Inc., tenants had signed leases for 6.75 million square feet of office space through the first four months of this year… almost double the amount for the same period in 2009. In addition, commercial property sales are picking up, having tripled in the first quarter alone. So, yeah, BNY Mellon’s decision to move on from 1 Wall Street sounds like a solid one… and (hopefully) an omen that the economy is moving on as well.